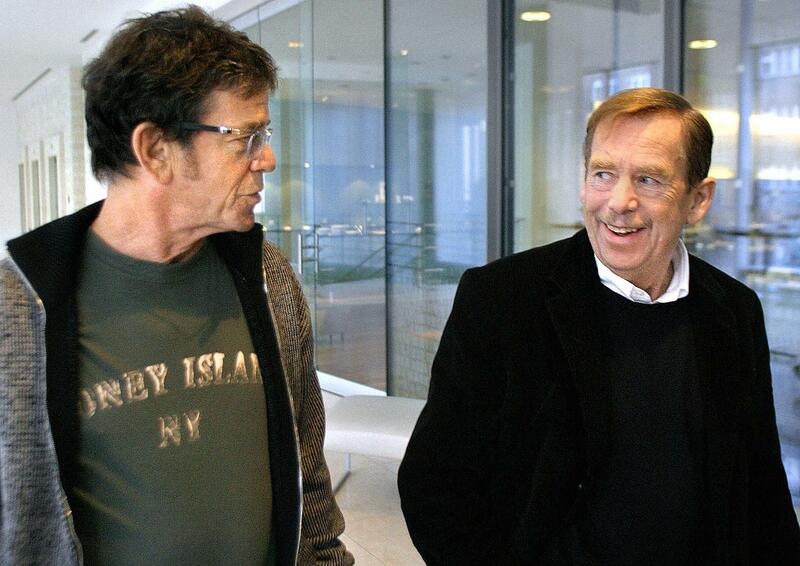 Lou Reed, left, and Václav Havel in Prague in 2005. This post previously appeared on Business Insider. One of the people who picked up the album was Milan “Mejla” Hlavsa, who played in a band called the Plastic People of the Universe. Along with Zappa and Captain Beefheart tunes, the Plastic People of the Universe began incorporating Velvet Underground songs into their sets. In August 1968 the Soviet Union invaded Prague, and the repression that followed prevented the Plastic People of the Universe from playing in public. Eventually, they were formally banned. But they continued to play on underground circuits. Finally, in 1976, its leaders were arrested, their music deemed anti-social. Lots of other artists were rounded up too, and their trial ended up giving birth on Jan. 1, 1977, to Charter 77, a dissident movement formed to protect human rights. Havel was the leader.